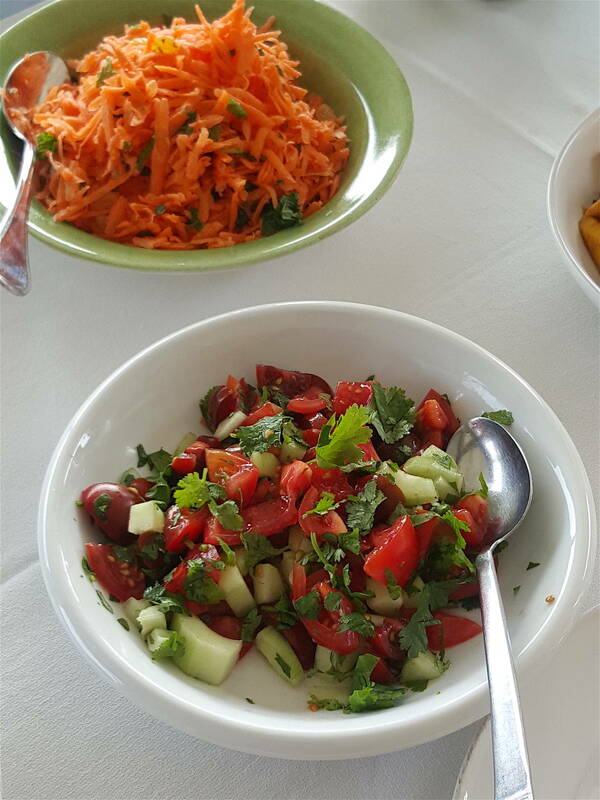 What’s amazing about this simple salad is the lovely fresh bite from ginger, chilli and lime juice. 1 Put raisins or sultanas in a small bowl and pour over boiling water to cover. Leave until water is cool, then drain. 2 Put carrot in a bowl and sprinkle over salt. Add chilli, ginger and lime juice. Mix thoroughly and chill. 3 Before serving, mix through sultanas and chopped mint leaves. Taste and adjust salt or lime juice. Serve as is, or if liked, top with yoghurt or scatter with chopped peanuts. This is good served other spicy dishes, or with snitzel and a creamy potato salad. You can add salty peanuts for crunch, or if you accidentally make it too hot, serve with a puddle of yoghurt on top.